August 2 is National Ice Cream Sandwich Day. This delicious almond ice cream sandwich is made from homemade cookies and regular ice cream for a fast and easy summertime dessert. When I was a kid, one of my favorite treats was an ice cream sandwich. This neat recipe gives me that feel but also uses home made cookies for the outside. What a great cold dessert this is for a hot summer day or to treat yourself any time of the year! I love making my own frozen sweet treats. It is a great way to include healthier ingredients but still end up with a great tasting dessert. The recipe is a fairly healthy one. It calls for old fashioned oats and egg beaters and keeps the sugar and butter to a minimum without sacrificing the taste. 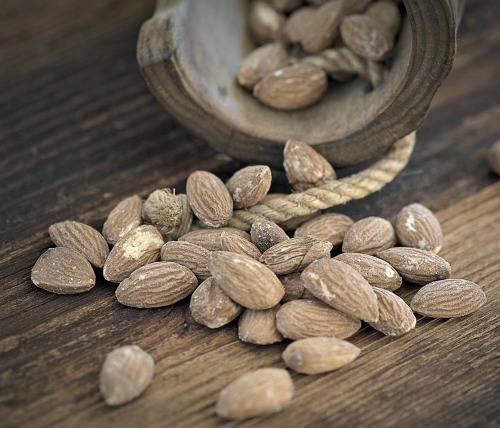 Almonds make a great tasting cookie. They are loaded with vitamin # and have a healthy dose of heart healthy protein. Today we are using almond cookies as the holders for our ice cream sandwich. 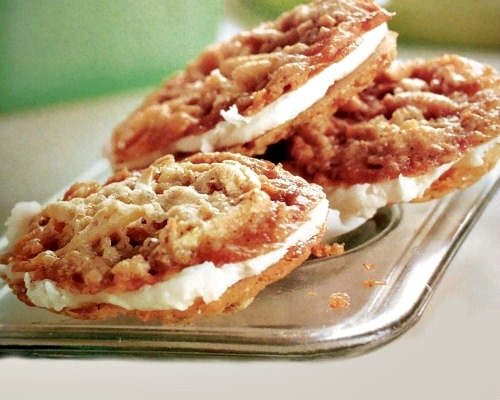 You start with a basic almond cookie batter and bake it into large cookies to use as the outside of your sandwiches. The slivered almonds gives the cookies a lovely almond flavor and a surprising crunch that you won’t find in any store bought ice cream sandwich. Store bought ice cream gets softened a bit and then spread into the center of two cookies. Just let it soften a bit so that it will spread easily. I used vanilla but the sky is the limit. Go for your favorite variety! Now this is what I call an ice cream sandwich. It’s crunchy and creamy without all the additives that you get in store bought frozen desserts. Enjoy one today! For more recipes like this, please visit The Gardening Cook Recipes on Facebook. 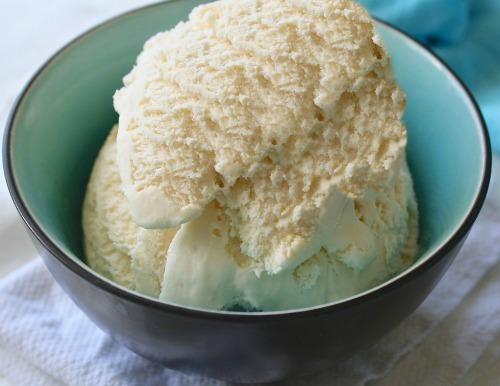 Use your favorite vanilla ice cream to make them into a delicious almond ice cream sandwich. In a large mixing bowl, combine the oatmeal, sugar, flour, cardomom, baking powder, and salt. Mix well. In a separate bowl, whisk together the egg beaters, butter and vanilla until combined. Add this to the flour mixture and stir well until combined. Stir in the almond slivers and mix until they are distributed well in the dough. Bake 10 - 12 minutes until slightly browned. Let the cookies cool a few minutes and place them on a wire rack. For each sandwich, spread the bottom side of a cookie with vanilla ice cream and top with another cookie. Serve immediately.